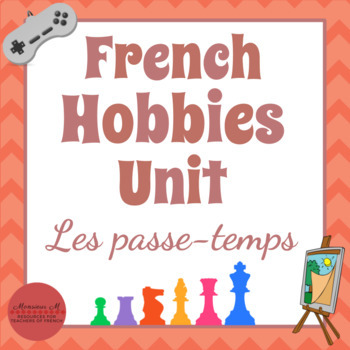 This is one of my favorite French 1 Units to teach, because kids love talking about their hobbies, pastimes, and leisure activities. 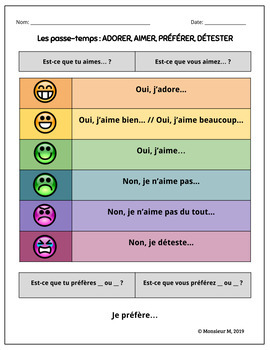 The purpose of this resource is to help you prepare your students to talk about what they enjoy doing in their spare time, as well as some activities that they don't quite enjoy all that much. 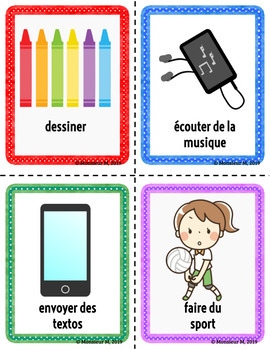 It's great for teaching hobbies vocabulary as well as the verbs adorer, aimer, préférer, and détester! This unit includes over 75 pages worth of materials--including vocabulary lists, flashcards, activities, speaking activities, games, exit slips assessments, and more. 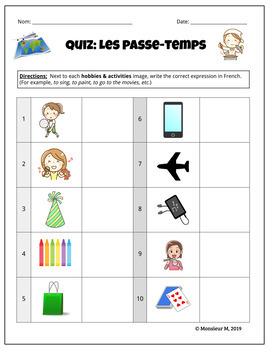 Answer keys are included for ALL activities and assessments. MINIMAL PREP NEEDED! French Hobbies & Sports BUNDLE !! !